It is unfortunate that we live in a world where marketing is acceptable, regardless of what it represents. When is using someone's death seem justifiable to further your cause for negativity? News increased this past week regarding the murder of Trayvon Martin by neighborhood watchman George Zimmerman. Zimmerman admitted to killing Trayvon in self-defense, but yet he walks free. The reason Zimmerman decided to follow Martin was because he looked suspicious. You may ask yourself, well how did he look suspicious? He looked suspicious because he, just like many other teens, children, adults, college educated students and babies, was wearing a hoodie. When does wearing a hoodie make you in his words "look suspicious and like you're on drugs or something?" In efforts to show support for the arrest of Zimmerman and awareness of the gun laws that need to reviewed, millions around the nation wore their hoodies this past weekend and still are even today. 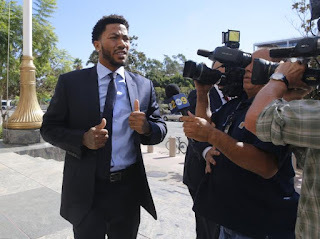 People have taken pictures and shared them all across social networking sites, along with having marches and demonstrations to express their discontent with how Trayvon Martin's case is being handled. As any good marketing person knows, when there is a cause that has a lot of attention, it's the best time to connect your name to it. That is just what individuals have done for the NRA. The National Rifle Association strongly advocates the Second Amendment, the right to bear arms. 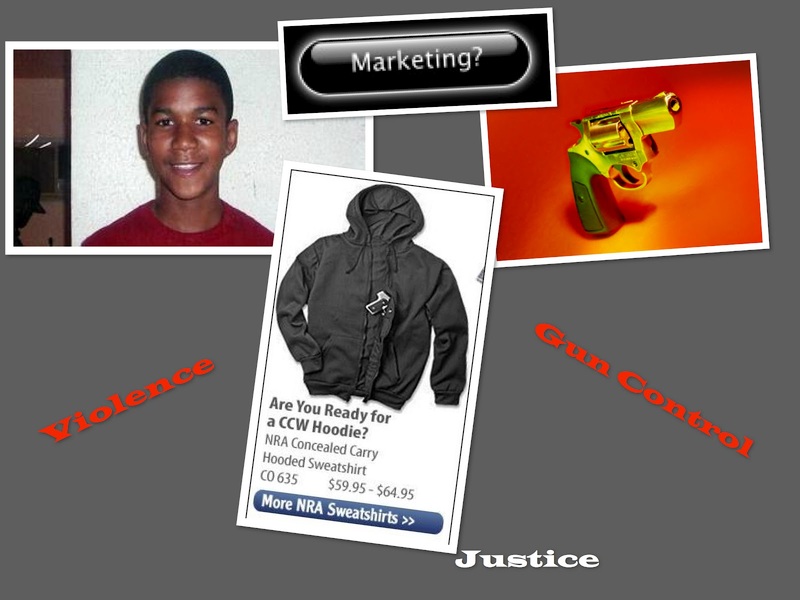 In efforts to push their cause, people have jumped on the Trayvon Martin stock and given the NRA's hoodie much publicity. You can now see it all across the web, while they have sold this hoodie for several years now, in light of this case they just got the perfect advertisement for it. Mr. Zimmerman claims he shot him in self-defense. The NRA believes everyone should be able to have a gun for protection. 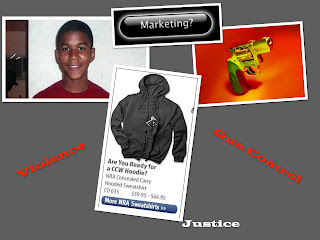 Trayvon was wearing a hoodie, what do you know, the NRA sells hoodies. We just gave light to a group that provides more and more opportunities like the death of Trayvon Martin to continue to happen. Please voice your opinion for stricter gun laws, we need them to help save us all.